What can I learn about my Pi from this graph? I"m curious what the attached graphic tells someone more knowledgable than myself about my Raspberry Pi wspr transmissions. I have a pi connected to a 20m dipole transmitting on 40m from my shed. 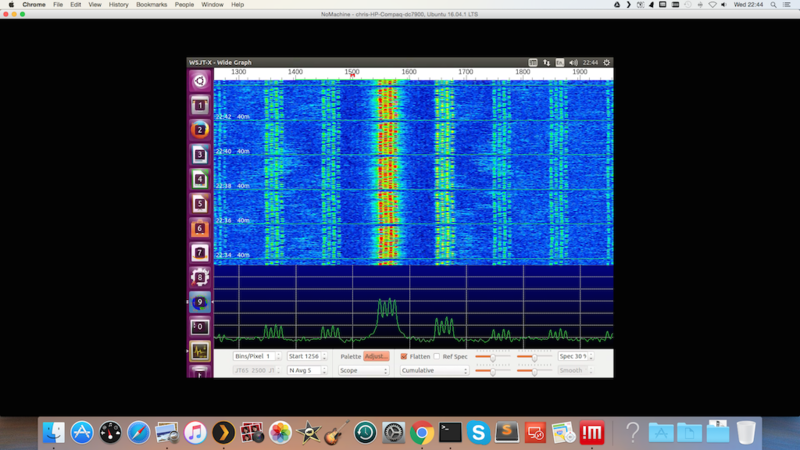 The attachment is taken from a sdr receiver about 20 meters away in my roofspace or attic for American friends. I see a similar 4 pronged signal when I connected the same pi to a battery rather than mains/usb charger which surprised me. 4 pronged, it was just stronger. Another quirk is that when using Wsprrypi if I want to tx on 7MHz I need to give Wsprrypi a tx frequency of 1MHz. I'm being approximate with the numbers there but it is a whopping difference. Not 100% what version my pi is but it's definitely less than a version 2.